Chimer Mawmaw is a simple and light program to chime the hour. When you first start the program, you should see a small icon in your system tray (the place where it also shows the time, internet connection status, volume, etc). You might have to click on the arrow to see the icon. Chimer Mawmaw will just sit here doing nothing until the next hour, at which it will play a sound. 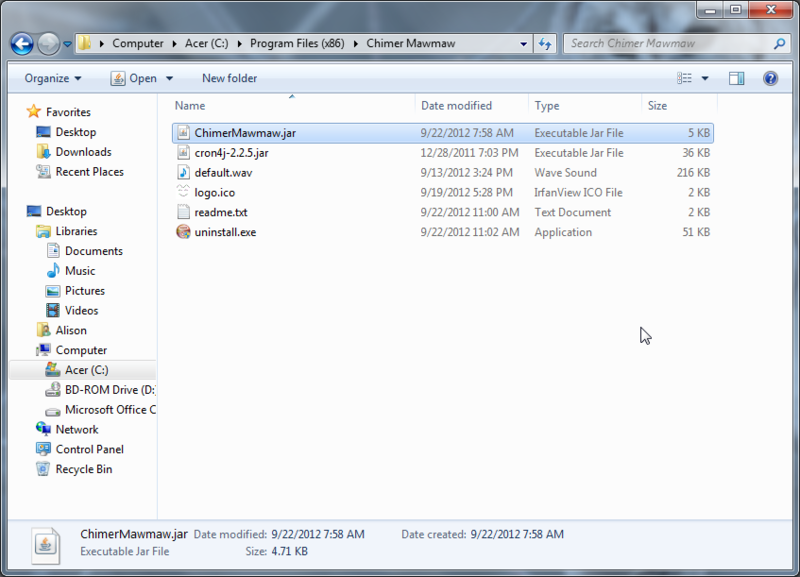 By default, it will play the sound file default.wav, which is in the place where you installed Chimer Mawmaw (usually C:/Program Files/Chimer Mawmaw, or C:/Program Files (x86)/Chimer Mawmaw; or, if you didn’t use the installer, the folder in the zip file you extracted with ChimerMawmaw.jar). If you want to change the sound, remove or rename the current default.wav, copy another .wav file into the place you installed Chimer Mawmaw, and name it default.wav. You can also have Chimer Mawmaw play a specific sound at a specific hour. 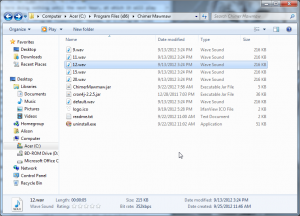 To do this, copy a .wav file into the installation folder with the number of the hour according to a 24-hour clock. For example, say I wanted Chimer Mawmaw to say “Snacktime!” at 4 o’clock. I would record a .wav file of somebody saying “Snacktime!”, then I’d name the file 16.wav. After this, I would copy 16.wav into the installation folder. 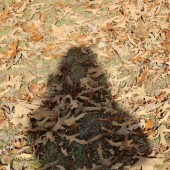 Perhaps I want Chimer Mawmaw to say something different at 11 o’clock in the morning. 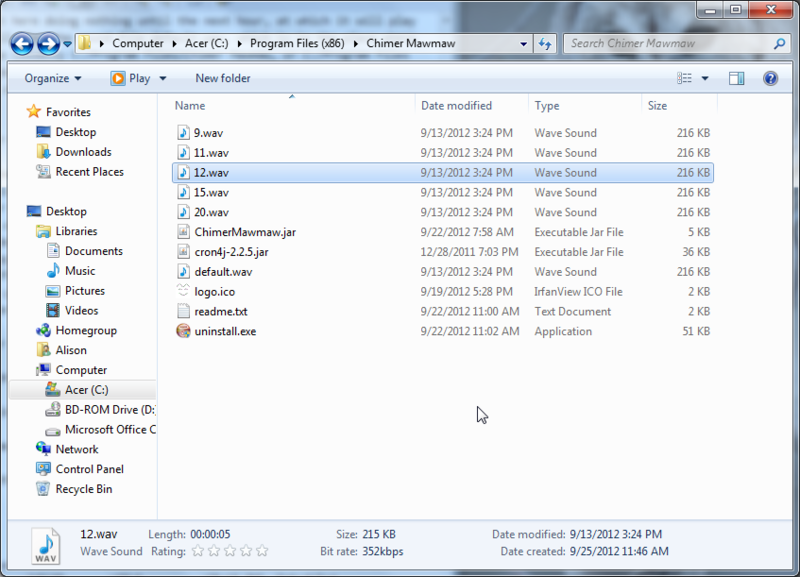 I would name the .wav file of what I wanted it to say 11.wav and copy it into the installation folder. You can do this for as many or as few hours as you want. 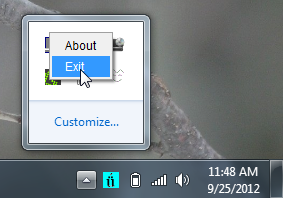 To exit Chimer Mawmaw, right-click on the icon and choose “Exit”. 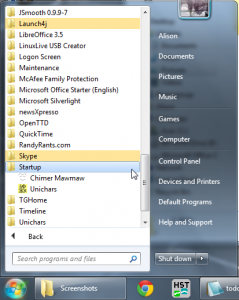 How can I keep Chimer Mawmaw from starting with Windows? Click on the Start menu button, or the Windows button, if you’re using Windows Vista or Windows 7. Go to All Programs > Startup. 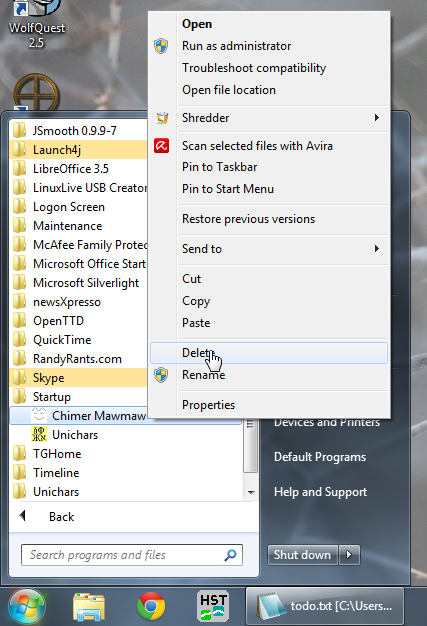 Right-click on the Chimer Mawmaw icon and choose “Delete”. 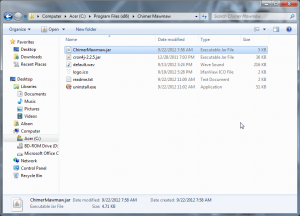 This will not remove Chimer Mawmaw from your computer – it will just stop it from starting automatically. 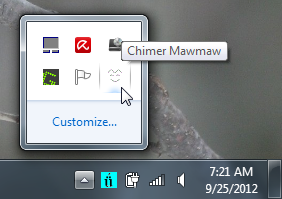 You can start Chimer Mawmaw again by going to Start > All Programs > Chimer Mawmaw, and clicking the Chimer Mawmaw icon. 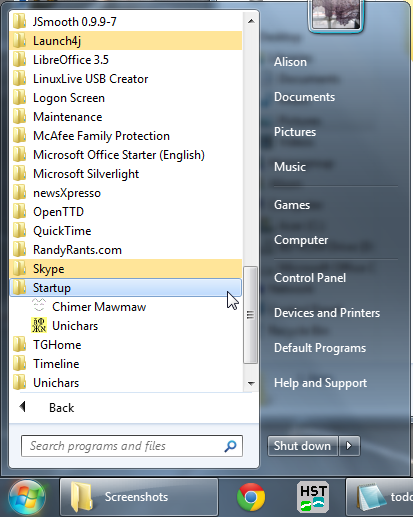 How can I uninstall Chimer Mawmaw? 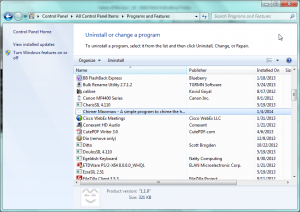 Click on the Start menu button, or the Windows button, if you’re using Windows Vista or Windows 7. Choose the “Control Panel” item. 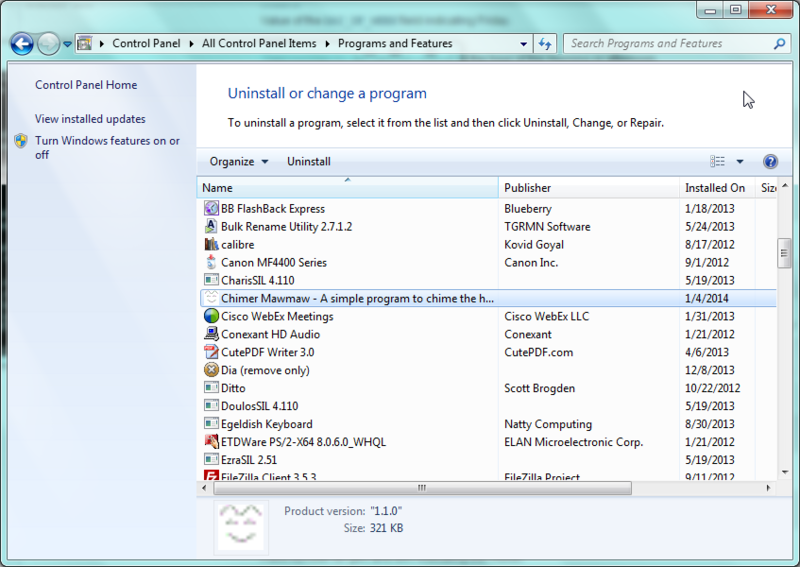 Now go to Add and Remove Programs, if you’re using Windows XP; otherwise, go to Programs and Features. Scroll through the list until you find Chimer Mawmaw. Click on it and choose the “Uninstall” button above.